Garbo Glassware announces they will unveil their new engraved glassware in Guangzhou; they include Diamond Design series, Interstellar series, Whiskey series, and Rose series, etc. 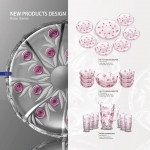 Guangzhou, China, April 17, 2019 --(PR.com)-- A few days ago, Garbo Glassware announced the unveiling of their new engraved glassware in Guangzhou. They are Diamond Design series, Interstellar series, Whiskey series, and Rose series, etc. Leon Chen, Garbo Glassware Marketing Manager, told reporters, "We sped up the new samples and will show them during the 125th Canton Fair from 23 to 27th April." Garbo Glassware is a producer and exporter in glassware, they are a well-known Chinese Glassware Wholesale Supplier established in 1993. They aim to provide good quality products at competitive prices. This biggest glassware supplier in China ensures that its products are made from top materials to guarantee durability and safety. In addition, Garbo products are also designed beautifully and creatively by their own design team. This is not the first time Garbo Glassware has joined the Canton Fair. The company has already attended the fair twice a year in the past 10 years with newly designed products. Garbo Glassware will show their collections in the fair, including classical designs styles and latest models. Diamond Design series is a series of glassware in transparent and crystal clear white color. There are sets of glassware products (glass, cups, candy jars and plates) with diamond pattern designs or diamond necklace designs. There is also a special series with heat transfer decal and red accents. 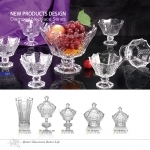 The series products include cups, bowls, glass candy jars, and ice cream bowls in various sizes, which are available in sets. Interstellar series is still focused on applying transparent white one-color ideas and diamond patterns, but the pattern is denser than the diamond series. It is quite similar to the Diamond design series but there are more classic details applied. The basic patterns include square, rectangle, circle and oval applied on the glass plates product. For the glass and bowl products, its still applied with a small and dense pattern. In contrast with the Interstellar series, the Whiskey series offers a more modern collection. 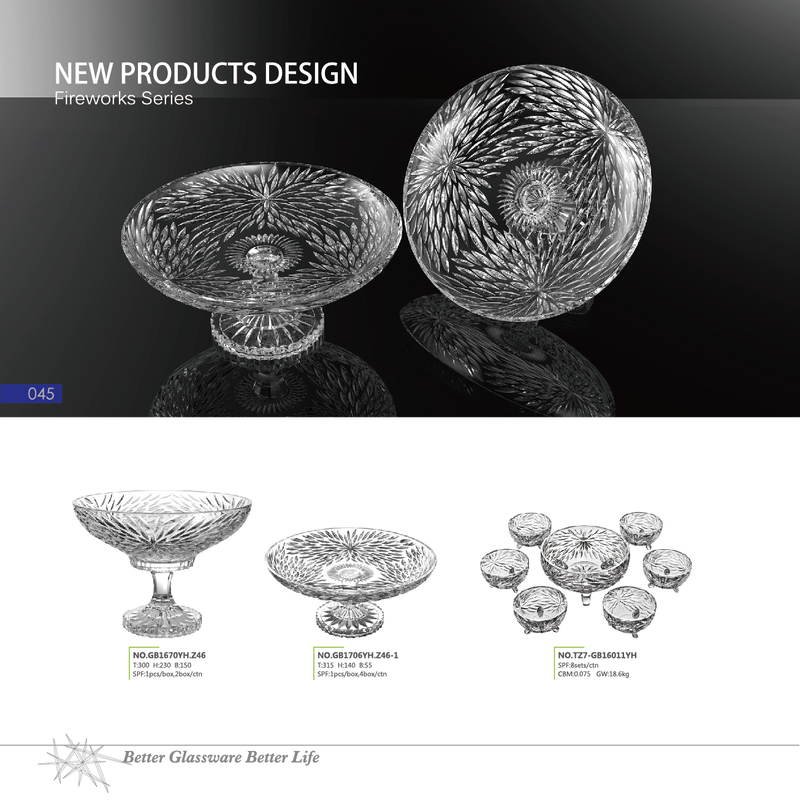 The classic glass still uses the regular diamond pattern, but the newest series uses an irregular line pattern. The engraving applied seems random, but it is undeniably really modern, beautiful and unique. The single white transparent color is still well-represented here. 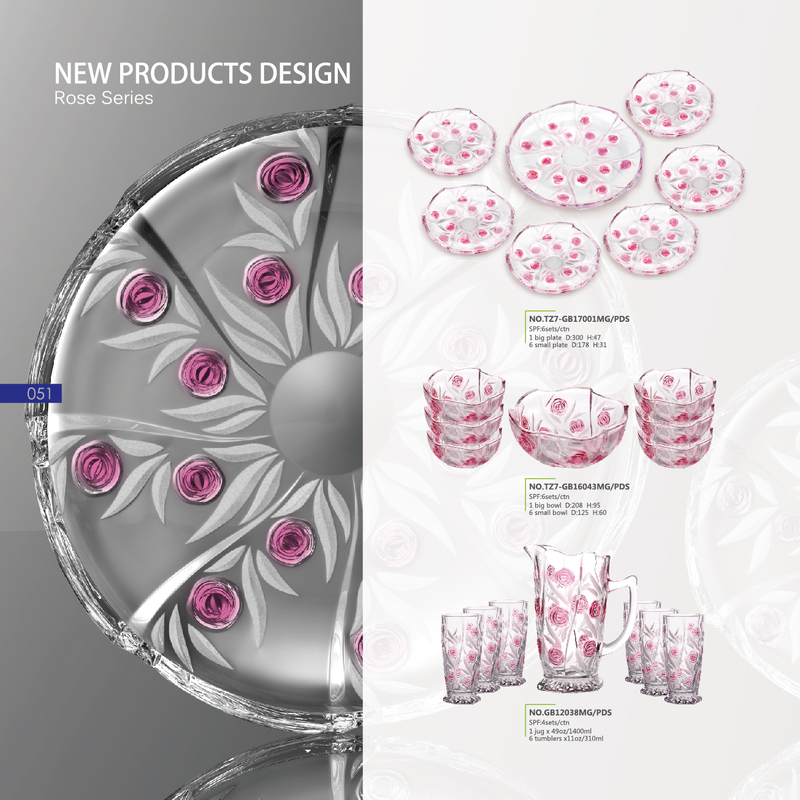 Lastly, for lovers of floral products, there is the Rose series from Garbo Glassware. The product sets consist of plates, bowls, water jugs, and glasses. Pink accents spray color in the form of roses are the highlight here. This is also suitable for informal event decoration. 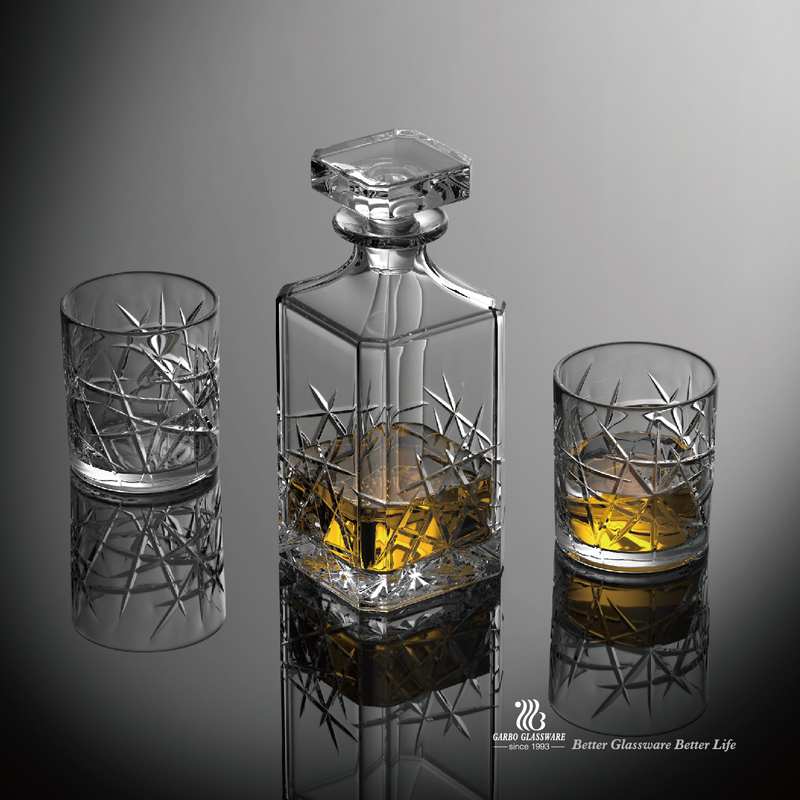 “It is so interesting to see the new collections from Garbo Glassware in the 125th Canton Fair. Like in the previous years, I expect to wholesale beautiful new design glassware items,” said Harry Geib, Purchasing Manager of Business Development of Ikea. 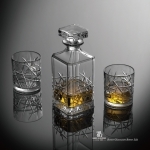 Garbo Glassware is a manufacturer, supplier, and exporter of engraved glassware products since 1993. Its products are well-known in quality and beautiful design with competitive prices. This company always attends the annual Canton Fair including the upcoming event held in April 2019. For more information, please visit: https://www.garboglass.com/. Interstellar series is still focused on applying transparent white one-color ideas and diamond pattern, but the pattern is denser than the diamond series. In contrast with the Interstellar series, Whiskey series offers a more modern collection. 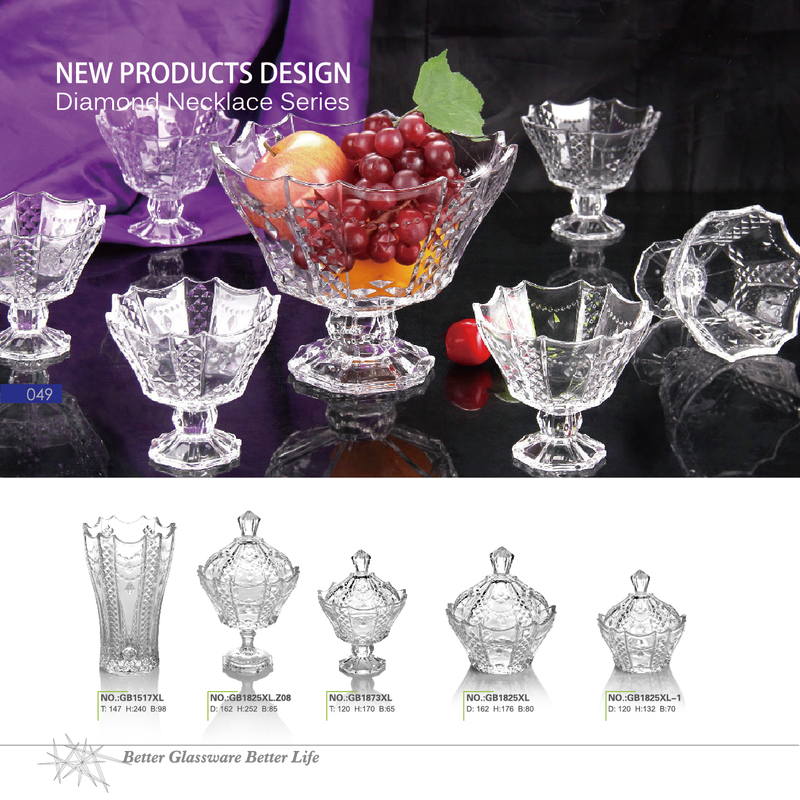 The classic glass still uses the regular diamond pattern, but the newest series uses an irregular line pattern. The product sets consist of plates, bowls, water jug, and glasses. Pink accents are spray color in the form of roses are the highlight here. This is suitable for informal event decoration. 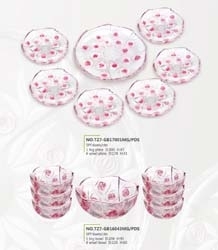 Basic patterns like square, rectangle, circle and oval applied on glass plates product. For the glass and bowl product, it is still applied with a small and dense pattern.